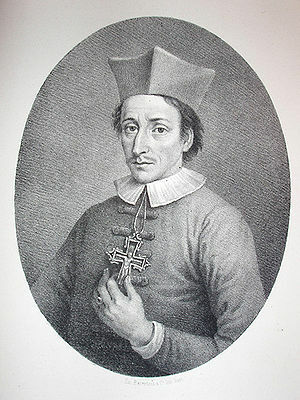 Nicolaus Steno (Danish: Niels Stensen; Latinized: Nicolaus Stenonis, Italian: Niccolò Stenone) (Born::January 11, 1638 - Died::November 25, 1686) was a Danish geologist and anatomist, credited with discovering and formulating the fundamental principles of geology and stratigraphy and also showed a eye for paleontology and anatomy. Principle of superposition: that in a series of layers of rock made of sediment (sedimentary rock), the older rock layers are under the newer/younger layers. A simple way to understand this is that the simple meaning of the word superposition is the placement of one thing on top of another. So the bottom thing is placed, laid down, or positioned before what goes on top. Principle of original horizontality: rock layers are formed originally in a horizontal position, and go out of that shape due to disturbances later on. Principle of lateral continuity: rock layers are spread out continuously unless a barrier stops it, or further changes in landscape break those sediment layers apart. His principles assumed an original fluid state of rock and minerals, a theory which was aided by his knowledge of the biblical flood. Although some try to suggest that his ideas conflicted with the scripture, not one of his principles does so, but helps give understanding what may have happened during the Biblical flood. His principles said nothing about absolute time. E.g. the principle of superposition does not state how long it takes for one rock to settle on another, or how long the process takes. It simply say the bottom layer was laid down first, and subsequent layers came after. "It is also important to remember that Steno was a Biblical geologist. His achievements were nurtured by his belief that the Bible records the true history—including geological history—of the world." He also investigated the heart (finding it had two pumps), the brain, the muscles, and discovered the excretory duct of the parotid gland, also called the duct of Steno. He disproved that the duct had anything to do with human spirituality. His investigations into the anatomy of sharks helped him to realize that there were fossil shark teeth in layers of rock and that they got there by natural means rather than created in the rock, as was believed in the time. He also laid the foundations of the science of crystallography. This page was last modified on 11 July 2011, at 12:37.